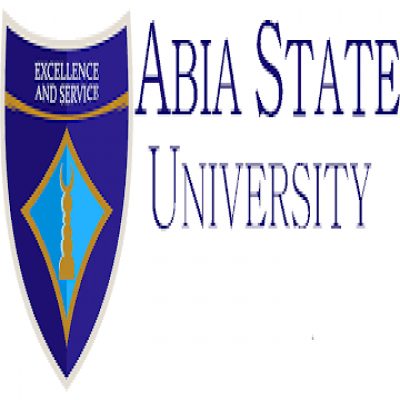 Abia State University, Uturu (ABSU) has finally open doors for application to qualified students / candidates for the 2019/2020 academic session. 1st or second choice candidates who seek for Abia State University, Uturu (ABSU) , Admission 2019/2020 should see requirements, Application Process and be Ready for the Unified Tertiary Matriculation Examination. VERY IMPORTANT: The Abia State University, Uturu (ABSU) Post UTME Admission Form for the 2019/2020 is not available at the moment…we will advice that you to stick around or better bookmark this very page once the ABSU Post UTME Admission Form 2019 is out this page will be updated immediately. While waiting for the Abia State University, Uturu (ABSU) Post UTME Admission Form/DE Screening Exercise for the 2019/2020 see how it was conducted previously. Applications are invited form suitably qualified candidates for admission into the Abia State University, Uturu DEGREE PROGRAMMES for the 2018/2019 academic session. All Direct Entry candidates are also invited for the Aptitude Test. The Registration forms for the Aptitude Test are available on-line from Thursday 5th July, 2018. 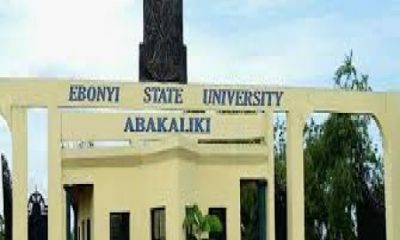 How to Obtain ABSU Post UTME Form. Eligible candidates should Log on to the ABSU portal (abiastateuniversity.edu.ng) and generate an invoice. Proceed to any branch of our designated Banks listed below and pay N2,000.00 only. Fidelity Bank Plc; Union Bank Plc; UBA Plc. Get back to the ABSU portal (abiastateuniversity.edu.ng) and click on Applicant. Complete the Application Form, ensure you upload a clear passport photograph to avoid rejection of candidate and download a copy as an evidence of registration. CLOSING DATE:The closing date for the registration of the Aptitude test is Friday, 27th July, 2018. Thank you so much for taking a Tour on this post (Abia State University, Uturu (ABSU) , post utme admission form 2019/2020 academic session) we have take time to officially dish out Top Information and Now it’s turn to show us a little gratitude. Help us spread the information by making use of the sharing button Below, and don’t forget to subscribe to get great News and other Information, we wish you success in all your endeavors…Stick around for more Info.